'It makes the world so much simpler, and it gives the world the appearance of fairness, if we believe that individuals are solely responsible for their own success," Malcolm Gladwell said over a cup of tea in a cafe in Manhattan's West Village neighborhood. He was clad in a casual black Adidas pullover, and his speech, like his prose, was straightforward and focused on the big picture. "It just suits us so well to continue this fiction." Debunking this fiction is the central work of Gladwell's latest book, "Outliers: The Story of Success." The book is built upon the premise that by looking at "outliers," wildly successful individuals like Bill Gates, we can find out more about the society from which they emerged and, more important, how they were able to emerge in the first place. The more we realize how much an individual's time period, environment, and cultural legacy play a role in success, Gladwell argues, the more all people can realize their potentials. "Somebody who read this book said to me that it was an extended argument for affirmative action," he added. "And you know, it kind of is, in the sense that it's a way of saying, look, stop getting so up in arms about affirmative action." Gladwell, 45, is a staff writer at The New Yorker and author of the best-selling books "The Tipping Point" and "Blink." His ideas and arguments for seeing the world, built through structurally elegant writing, have a sense of stickiness to them. (Stickiness, in fact, is a concept discussed in "The Tipping Point.") After putting down one of his books, it's hard not to see everything through Gladwell's lenses. The second half of "Outliers" focuses on how an individual's culture can help or hinder success. "You can no longer shrug off things like cultural factors," he said. "And if they're part of the story, and I believe they are, they need to be examined." "We are appallingly inefficient in this country at making use of the human potential that we have," he added. "Outliers" comes back to the same point again and again: It's not enough to want to work hard in life. In making that point, he features a student named Marita who attends a demanding school in the South Bronx. "Marita's willing to work," he said. "Willing to work insanely hard. But she has to be given a place to work." "I mean, she does her part, but her part can never be enough," he continued. "I just want to get us away from this notion that people can do it all themselves. They can't." "I think there are lots of people who, given the right opportunity, will seize it," he added. "But they've got to be given the opportunity first. If people will take one lesson from the book, I hope it's that." Correction: Because of an editing error, an interview with author Malcolm Gladwell in Saturday's G section misstated the date of his speech in Cambridge. It was Dec. 8. 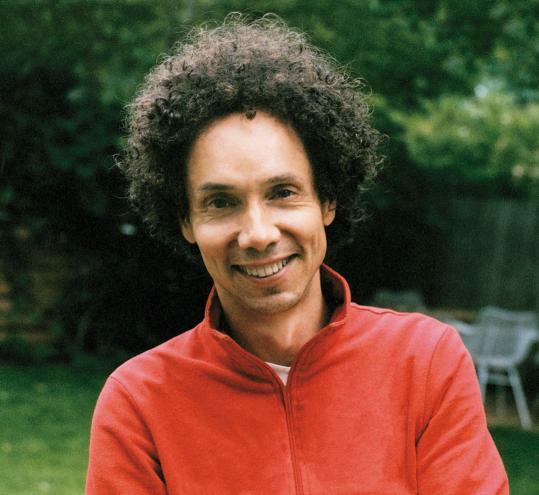 MALCOLM GLADWELL At the First Parish Church Meetinghouse in Cambridge tonight at 7. Tickets are $5. Call 617-661-1515.